Take a big bowl, add active dry yeast and warm water and let it stand for 10 to 12 minutes. Combine warm milk, salt, white sugar, and shortening and mix well. Now add all purpose flour to make a smooth dough. Take the dough to floured board and knead until it turns soft and elastic. Add some flour if it is watery. Cover the dough with a towel for 1 hour. Divide the dough into 12 to 15 balls and make each ball about 1/8 inch thick. Fry the balls on both sides for 1 to 2 minutes or until it is golden brown in color. Drain on paper towels. 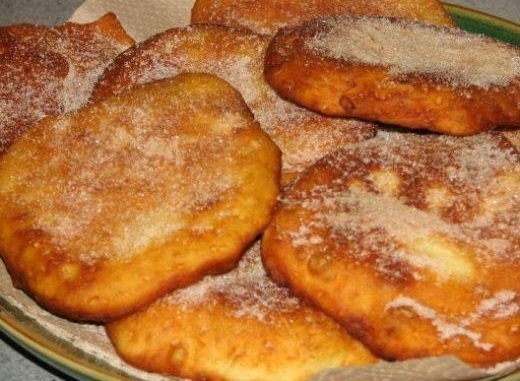 Finally sprinke the elephant ears with sugar and cinnamon.